Elizabeth Egan and Alison Lundy preview this weekend’s university cross country showpiece at Bicton College. The temperatures may have dropped this week, and even in the absence of 2018 champions Alex Yee and Harriet Knowles-Jones, the races are set to be red-hot battles at the BUCS Cross Country Championships on Saturday (February 2). Alison Lundy looks at the female contenders in Devon, while Elizabeth Egan outlines the men to watch out for. Not one of last year’s medallists in the women’s race – Harriet Knowles-Jones, Phoebe Law and Philippa Bowden – are entered to run in Devon, leaving the way clear for a brand new 1-2-3. 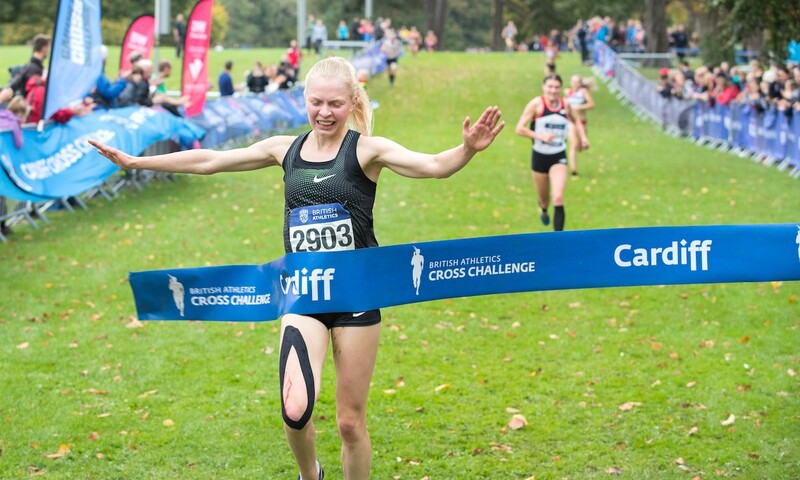 Anna Møller, Denmark’s European U23 champion and winner of the Cardiff Cross Challenge, is currently studying at St Mary’s and stands an excellent chance of becoming the first non-British winner of the women’s competition. Møller represented Denmark at the 2016 Rio Olympics in the 3000m steeplechase, setting a new European junior record. If she toes the line on Saturday, she must certainly be the one to beat. 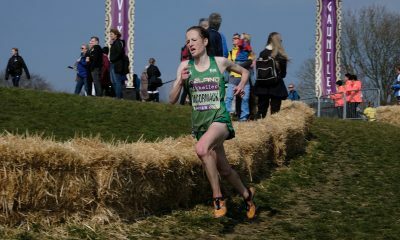 There is no shortage of challengers however; Mhairi MacLennan of Edinburgh was seventh last year, and has been in fine form this cross country season, ninth at the Liverpool Cross Challenge in November and winner of Northern Cross Country Championships last weekend ahead of Lauren Heyes (formerly Howarth). Also among the contenders is Jess Judd who was fifth at the race hosted by Brunel last year. The 24 year-old, who has unmatched racing stats in 2018, finished third behind MacLennan and Heyes at the recent Pontefract hosted Northern Cross Country Championships. Last weekend, Judd showed once again that she’s capable of pushing herself over the cross country distance. 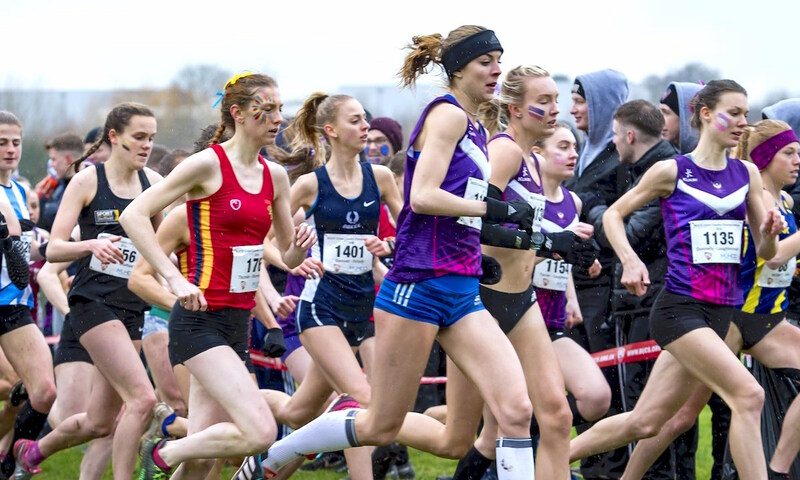 Fellow Loughborough student Amy Griffiths will also be looking to improve on last year’s performance when she crossed the line 10th; after a seventh place finish at European Cross in the U23s, she can expect to be challenging for the medals. Loughborough’s entries also boast Abbie Donnelly who, like Griffiths, represented Great Britain at Euro Cross; they’ll be challenging for a victory in the team competition, but without a winner since Lisa Dobriskey in 2004, could this be the year for Loughborough to take back the individual gold as well as the team trophy? St Mary’s may think not, as they will back Møller for gold, and in the team competition they may be fairly confident too, with cross country specialist Louise Small on their entry list, as well as GB Euro Cross representative Emily Moyes and Irish international Ciara Everard, although Everard is more at home over 800m. Brunel’s Rebecca Murray is also entered, adding further experience to an already stellar field. While the 2017 champion, who her marathon debut in London last year, doesn’t appear to be in her best cross country form, she shouldn’t be completely ruled out. Aiming to show that experience is not everything, this year’s crop of freshers will be vying to make their mark on the competition; Amelia Quirk joined Birmingham in September and has made an excellent comeback from injury through her first few semesters, while Khahisa Mhlanga (Writtle College) and Tiffany Penfold (Edge Hill) are the sole entries for their respective institutions. The newly crowned North of England senior champion Emile Cairess (St Mary’s) won the B race in 2017 before improving to third in the championship race last year. 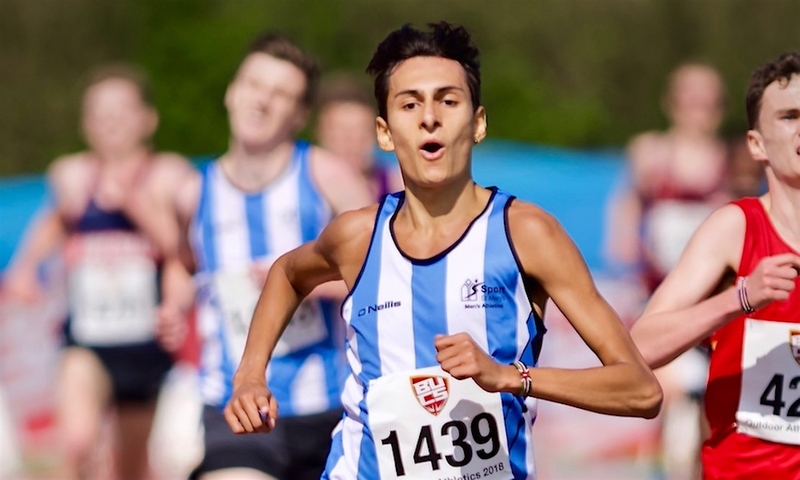 The Leeds City athlete finished eighth in the U23 race at the European Cross Country Championships in December and will be looking to add to his growing medal collection, which also includes the BUCS 5000m title from 2018. If Cairess is to complete his transition from B Race winner to overall champion, he’ll have to contend with a host of other accomplished athletes, not least Loughborough’s Patrick Dever, who finished ahead of him at European Cross. Dever was the fifth U23 at the trials in Liverpool, but ran the race of his life in Tilburg to finish fifth and lead the British men to silver. He also led home the British senior men at the Stirling International in January, and is undoubtedly an athlete in form. Oliver Fox (Cambridge), ninth at Liverpool and 19th in Tilburg, is the other member of the European U23 team entered. 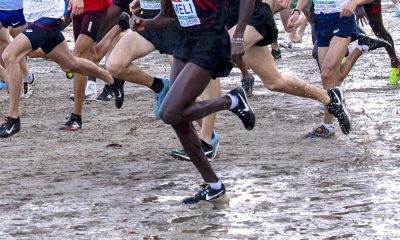 The Wells City athlete, who finished sixth at the English National last February, should expect to improve on his eighth place from Brunel. Alex Teuten (Southampton), the 2017 BUCS Champion, is another stand-out entrant, and will have a shorter journey than most to the Exmouth course. 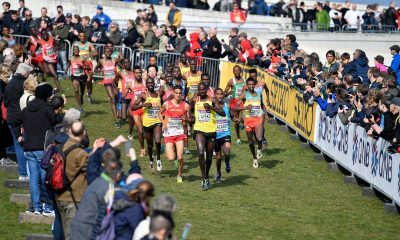 Teuten, who was also runner up at the English National, CAU Inter-Counties and the European Trials in 2017, didn’t finish at Liverpool in December, but put in a solid performance at the IAAF International in Dundonald in January, finishing seventh. If he is on form, the younger athletes will have a tough time keeping up. Ellis Cross (St Mary’s) will also be looking to show a return to the sort of form that saw him pick up bronze in 2017. 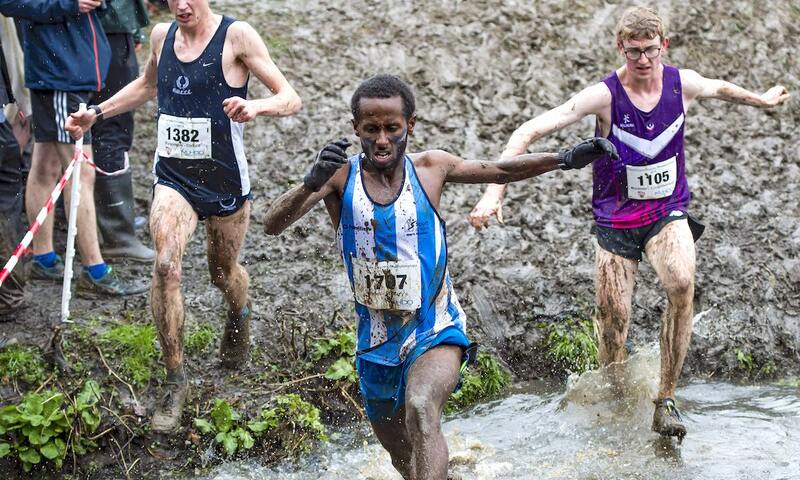 The Warwickshire Champion finished 12th last year and also has a bronze medal from the BUCS 5000m last May. Another hoping to have a race more like 2017, and less like 2018, with be Petros Surafel who was fourth in Sheffield but only managed 24th at Brunel last time out. Jack Millar (Oxford) was fifth last year, a massive improvement on his previous best performance of 43rd and will be looking to show further improvement this time out. Luke Caldwell (Imperial), Jamie Parkinson (Oxford), and James Gormley (Birmingham), also finished in the top 10 last year and will be back looking for more of the same. The step-up from schools to universities is a tough one, but Matthew Willis (Loughborough), 2018 English schools champion, will be hoping to make light work of that transition. His Loughborough and Euro Cross teammate Tom Mortimer, the 2018 Intercounty Champion, is another of the younger athletes to watch out for. University Exeter have a large team entered, including Ben Holmes, their leading finisher from last year, but the athlete local fans should watch out for is Jake Smith, racing in the colours of Cardiff Met, particularly if conditions are dry. Jake is not a fan of the mud but will be keen to transform his recent road bests of 29:30 (10km) and 64:01 for half marathon into success on the grass. Amid all the other championship races and international opportunities this time of year, BUCS can throw up some surprises. Some athletes will be focusing more on the team aspect of the day and their university scholarship obligations, than individual glory. That said, all the stars lining up tomorrow will have at least one eye on adding their name to the illustrious list of previous winners. Teuten, Cairess and Dever will each fancy their chances of taking the men’s title; Judd will look to finally add the BUCS title to her English National and CAU Intercounties titles from 2017, but will have Møller and MacLennan to overcome if she’s to do so. The last five winners, both men’s and women’s, have not only been different individuals, but have also represented five different universities (eight different universities across both genders). With Yee and Knowles-Jones not starting, it looks like we’ll have to wait another few years to see our first three-time winner since Birmingham’s Ray Smedley in the mid 70’s. The team race may be among the most difficult domestic titles to win, but BUCS cross country is almost impossible to dominate as an individual! Action gets underway at 12 noon with the women’s 8km race, followed by the men’s 10km race at 1pm. The men’s B race over 8km concludes the BUCS cross country at 2.15pm. RELATED: What makes BUCS cross country so special? 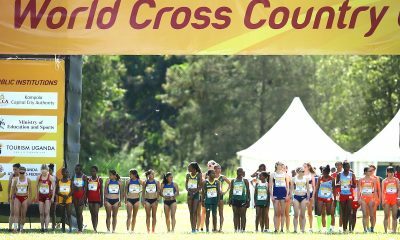 World Cross Country: the greatest show on earth!